Last edited by Chris Knipp; 05-03-2018 at 11:59 PM. The images in Angels Wear White are pretty and at the center of it is a quartet of delicate young Chinese girls. The scene is a motel, one that's modern and spacious and where the rooms aren't cheap, at a seaside location with large dunes like sculptures - and a giant sculpture of Marilyn Monroe that runs symbolically through the film. Two of the four are very young schoolgirls, twelve years old. Another, Mia (Vicky Chen), is a teenager and a working girl, doing menial chores at the motel. The last is a bit older and more sophisticated, Lili (Peng Jing), a clerk at the motel. Through a surveillance camera Mia sees foul play in a room one night and records the camera information on her cell phone, but she hides what she knows. Lili's wily ways infect her. The central event is an ugly one, the sexual exploitation of a young girl, perhaps two, by a middle-aged man, who's never seen directly. Lili and Mia cover this up when an investigation takes place. A desultory police investigation proceeds off and on, while the camera follows around the exploited young girl and the teenager. There surely is a good story here somewhere. But it doesn't seem the filmmaker, Vivian Qu, knows quite how to structure her tale. Though never anything but watchable, this film meanders and runs off on tangents, never quite gaining momentum. It is too diffuse. Boyd van Hoeij commented in Hollywood Reporter at Angels' Venice debut that it's "Luminously filmed but restrained to a fault," and though its final shot packs "an impressive punch," Qu's drama wants to suggest something about the precarious position of women in China, but exactly what "is harder to pin down." That may also have been true of Qu's first film, Trap Street (reviewed on Filmleaf in 2014 ND/NF coverage). That was in Venice's Critic Week, while this feature made it into the main competition on the Lido and later to Toronto; she is making steady progress. The texture of her films is satisfying even if their thrust is vague. In some ways Trap Street may have succeeded better with its more complicated, less focused material, which contained many similar elements - hotel rooms, pretty young girls, surveillance cameras, with the added attractions of youthful romance and richer mystery. Angels Wear White touches on today's awareness of sexual harassment and is beautiful to look at. Angels Wear White 嘉年华 (Jiā Nián Huá), 107 mins., debuted in competition at Venice 2017 and has played or will play in a total of at least 34 international festivals, including the San Francisco International Film Festival in April 2018, where it was screened for this review. Last edited by Chris Knipp; 04-06-2018 at 01:34 AM. 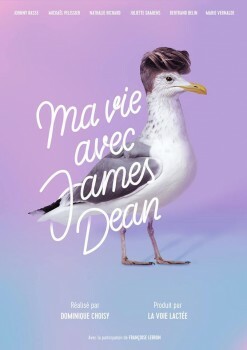 My LIfe with James Dean is a charming French gay film about love and cinema whose central figure is an attractive young director, Géraud Champreux (actor and birdsong immitaer Johnny Rasse). Géraud - not Gérard; people keep getting it wrong - goes to the Norman coast for a series of showings of his eponymous new film in Calais and several other coastal towns. Not many show up, as is not surprising given the provincial settings and the movie theme, which Variety describes as "a frank Jean Genet-ish LGBT tale of carnal passion" - and Géraud seems all at sea anyway. But he's ready to go with the flow, and things happen. At the first showing, in a cinema attached to a casino, only one person shows up. But the cute, young, very tall projectionist, Balthazar (Mickaël Pelissier), falls for him and wants to make him his first gay experience. Géraud has left his laptop at home and a kid has stolen his cellphone on the train. He borrows phones and calls the star of his film, Ludwig (Tancredi Volpert), leaving messages in which he promises he's looking for a salle de musculation (a workout room) "to maintain that body you like." Géraud (that is Johnny Rasse) is indeed attractively muscular in his thin, open-collared shirts; his expression is abstracted, a little sad, perhaps missing Ludwig, whose interest in him may have faded. Ludwig, at least, is not there. But he does eventually show up, to the disappointment of Balthazar. The sponsor of the first screening, Sylvia van den Rood (Nathalie Richard), wholly misses the screening, because her lover, a married woman, has broken up with her and she is a mess. At the Hotel de Calais, where Géraud is put up by Silvia, the perpetual clerk is Gladys (Juliette Damiens). Is she in love with Géraud? No, there is someone else; but she has memorized Chekhov's Seagull - which seems not inappropriate - and wants to be cast in Géraud's next film. Géraud gets a cahier in a bookstore, and, freed no doubt by the lack of computers or cellphones, and, while among people, starts jotting notes in it for his next film, whose title becomes The Maharajah and the Seagulls. It's a Bollywood-Normandy production of which we see the title song in the closing credits. No scenes in Choisy's film seem more typical than those where all the main characters are following each other, one after the other, around the town streets, compelled by romantic confusion. They create intertwining intrigues and infatuations, led by Balthazar. Him, Géraud gently rebuffs, saying he is "a child." But when he takes off his clothes, he is not. We meet Géraud's mother, and Balthazar's father. Later some of the principals run off in a van, hiding a handsome, dark young fugitive. Born in 1959, Dominique Choisy has worked as an editor for French television, in addition to teaching at the Université d’Amiens in the north of France. After helming a number of short films, Choisy directed his first feature, Modern Comforts in 2000. Also starring Nathalie Richard, Modern Comforts won the FIPRESCI Prize at the Mar del Plata Film Festival. 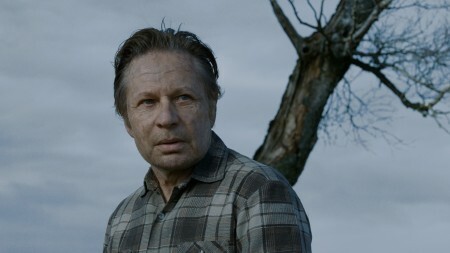 He returned to the director’s chair in 2011 with Les fraises des bois. My Life with James Dean is his third feature. My LIfe with James Dean/Me vie avec James Dean, 108 mins., debuted in Paris at the Cheries-Cheris Film Festival (MK2 Beaubourg) and continued at Montreal, Brussels, Toulouse, Tours, and Lyon. It was screened for this review as part of the San Francisco International Film Festival. Theatrical releases in France and Germany are scheduled. Showing at the same same time in Boston (Cambridge) at the Wicked Queen Festival Apr. 6, 7:30 pm at the Brattle Theater. Last edited by Chris Knipp; 04-06-2018 at 02:31 PM. Danish documentarian Simon Lereng Wilmont went to Hnltove, a mile from the front line of fighting between Ukraine forces and pro-Russian separatists four years ago and made this film focused on a boy of ten whose father chose not to flee the fighting. Like many a great documentary this one starts with extraordinary access. Wilmont's fly-on-the-wall technique means he is present at the most intimate moments but never noticed. Not surprisingly, the film Loreng made won top honors in IDFA's "First Appearance" Competition. Just how dangerous this work was, if you wouldn't guess along the way, is shown at the very outset with footage from a car when there's a big explosion a couple vehicles forward of it, blowing everything away and driving the car the photographer is in off the road. Oleg is a fiftth-sixth grader, the age of openness, curiosity, good humor. He lives with his grandmother Alexandra, a big tough-minded, warm woman. His father is gone, his mother died years earlier. His aunt Ayosha falls for a soldier who'll take her to a safer place along with her son Yarik, robbing Oleg of his companion for pillow fights and leaving Alexandra and Oleg alone - the more so because most of the village is also gone. There are a few classroom scenes were there were other children - classes on mines and how to be wary of them, what to do if disaster strikes. War is the ever-present thing, with memories of a neighbor who had his head blown off, leaving his wife wandering outside speechless. Alexandra quotes a saying, "Every dog is a lion in its own home." So they are lions who hear howitzers and the distant barking of dogs. 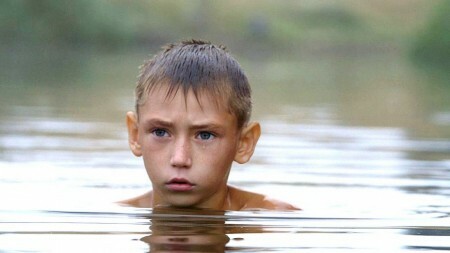 With the older teenager Kostya Oleg goes swimming in the dark, with firing roaring in the distance, and they make a fire. Wilmont must have pledged, "If they go, I go." threw in his lot with them to make this film. It reminds me of the old Life Magazine. A great Life photographer focused on the most human of human interest stories, weeding out anything trivial, unless, in its triviality, it was tremendous. He took me as a boy to far other worlds I could escape into. But this world I only wish did not exist. Yarik comes back for some reason, and Oleg has his company again. But the situation is wearing everyone down, us too, the viewers, the mood grows darker, and when Kostya brings a pistol, it's dangerous. Oleg gets a gash in the ankle from a ricocheting bullet bullet, then they cruelly shoot frogs in a pool, but Wilmont quietly forbears and observes. It was quiet and lovely for a while, then the fighting started up again. It is not over. The Distant Barking of Dogs, 90 mins., debuted at International Documentary Filmfestival Amsterdam (IDFA). Screened for this review as part of the San Francisco International Film Festival, April 2018. See the review at IDFA by Neil Young in Hollywood Reporter for further details. Last edited by Chris Knipp; 04-06-2018 at 07:17 PM. According to Vanessa Thorpe in the Guardian, the makers of the ambitious BBC arts series "Civilizations" faced "major hurdles" in filming, with tourists, bureaucrats, security staff and "cultural sensitivities" all "standing in their way." They believe they faced greater obstacles than the 1969 series they were commissioned to update. I looked at one episode shown as part of the SF film festival, number 2, which is about the representation of the human figure from its earliest days till now. The question title, "How Do We Look?" is misleading in its suggestion of a personal, self-conscious sense of the culture of the visual. Actually, the representations of human form through history come from sources we mostly know very little about, other than what we see. Did ancient Egyptians really see themselves as stiff and upright, or were they just waiting for artists to come up with another way of drawing, like the fascinating, and engaging Roman funerary portraits on top of Egyptian-style coffins in the Fayum Mummy Portraits? This is a rapid survey, not a deep delving, but it could have delved deeper. 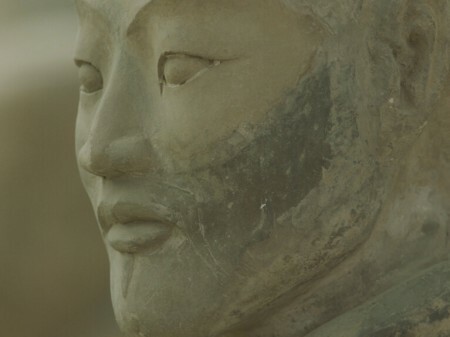 Just as we still owe a lot to the beautiful idealized forms devised by the Greeks and the Romans and their incorporation into modern sculpture promoted by the influential 18th-century archaeologist Johann Joachim Winckelmann, so this glossy, handsomely realized documentary hour owes an awful lot to the traditional ceremonial style of the docs it's updating. In fact it comes on initially very much like the "Encyclopedia Britannica films" shown in US schools in the Fifties, which droned on in a singsong fashion so we'd know we were being lectured about important things, and could zone out. In the effort to keep us from doing that, a string of impressive and appropriate experts are shown, British whenever possible, with nicely lit, sharply focused sculptures. Toward the end, the film skips from classical style modern sculpture to an African American painter who does updates of people found on the street in a style adopted from "high art" he's viewed at the Met. Particularly noticeable, and amusing, is chief "presenter" (one of three in the series) Cambridge professor Mary Beard, resplendent in a big orange scarf (to unify multiple appearances over time, perhaps), whose toothy, over-emphatic style of delivery, striving for a sense of dramatic revelation, has been compared, not without reason, to Margaret Rutherford, as Vanessa Thorpe notes. Starting with Mexican Olmec sculpture, none of the usual highlights are missed in a survey that privileges western classical art because, it shows, the world has done so. Something new to me is the information that even traditional Buddhist sculpture was influenced by the Greco-Roman (along with the Lincoln Memorial in Washington). Of course there have been some new discoveries, which are incorporated, and these are always of immense value. 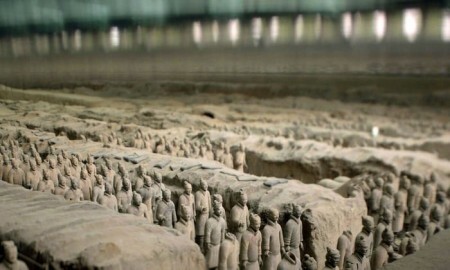 One thing undoubtedly new is the more recently discovered Chinese Han dynasty tomb figures, with a representative of the beautiful new Asian Art Museum of San Francisco to talk about them, its Director Jay Xu. But they do not seriously alter our understanding. Is it surprising that sculptures were made by and to celebrate the rich and the powerful? One was hoping for some more pungent observations and keener insights. Perhaps a more overt critique of Sir Kenneth's version would have helped us see the value of an update. Civilizations,"How Do We Look? ", 64 mins., debuted 24 Apr. 2018, no. 2 of nine one-hour episodes, BBC Two, PBS, presented by Simon Schama, Mary Beard and David Olusoga, a series of documentary films on the history of art. 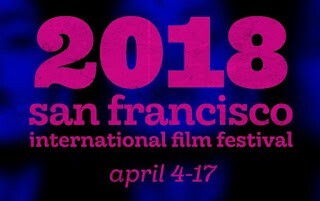 Viewed as part of the San Francisco International Film Festival on a PBS Press Room video (of which the sound fell out in the last ten minutes). Last edited by Chris Knipp; 05-03-2018 at 11:56 PM. 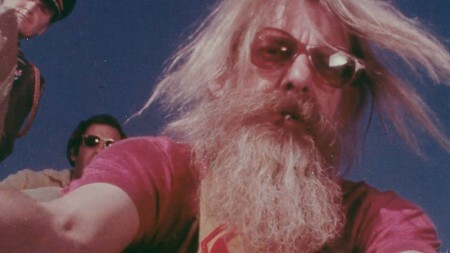 Hal Ashby is less of a household word among the iconic Seventies "New Hollywood" directors than Lucas, Spielberg, Scorsese or Coppola but also important. Amy Scott has made a documentary re-introduction. His key work of the period, often created in non-stop stoned editing sessions, includes The Landlord, In the Heat of the Night, Harold and Maude, Shampoo, The Last Detail, Being There and Coming Home, movies all made in the nine years from 1970 to 1979. He died at only 59, of pancreatic cancer. Some said the studios killed him by their opposition. L.A.-based Scott was trained in Oklahoma, became an editor, and was head digital archivist and assistant to Studs Terkel in Chicago. Owen Gleiberman has reviewed her documentary for Variety suggesting it has more clues to his work than his life. For an avaluation of his work read Pauline Kael's review of Coming Home in The New Yorker. Hal, 90 mins., debuted Jan. 2018at Sundance, screened for this review as part of the April 2018 San Francisco International Film Festival. Last edited by Chris Knipp; 04-07-2018 at 11:57 AM. Claire's Camera/La Caméra de Claire 클레어의 카메라, 69 mins., debuted at Cannes May 2017; 14 other festivals, and was screened for this review as part of the San Francisco International Film Festival. Metascore 80%. Last edited by Chris Knipp; 04-08-2018 at 09:59 AM. For me the most convincing and important climate change documentary was Jeff Orlovski's Chasing Ice. It records National Geographic photographer James Balog's work recording the melting of glaciers using multiple time release cameras that provide the information over years of what is happening to the ice at the ends of the planet. This is where the sea rises. This is the clearest, simplest, and most disturbing visual proof that the frozen parts of the planet are rapidly eroding, causing the sea levels to rise. With Matthew Testa Balog simply has another guy recording his work as a photographer. This time he moves to the elements, water, air, fire, and earth, and he suggests that humans constitute a fifth element interacting with, changing and being changed by the four others. Needless to say, I do not agree with the citizen critic on "Letterboxd" who wrote: "In the last few months I've seen An Inconvenient Truth, An Inconvenient Sequel, Chasing Ice, & Chasing Coral... This added nothing new." Here's what it's got that's new: this man's voice and personal camera. James Balog's information is always very visceral, personal, and clear. It doesn't feel like a survey but like reports from the front, this time, from multiple fronts, governed by the four elements. The first element is water, rising sea water. Balog concentrates on the Chesapeake Bay region, particularly Tangier Island, a kind of canary in the coalmine of invading water levels. This little island community of "watermen" will need $100 million to build a seawall to protect its way of life from extinction. Where is this going to come from? New York City can afford the $180 billion or whatever it is it needs for a seawall, but Tangier Island is poor. Burning fossil fuel has changed the air. Balog begins with a project to photograph the thin layer of breathable air to show how fragile it is. It's a simple project, using a balloon and several cameras, but it works. He then goes to visit a school and some kids in Denver where they have asthma and the air quality is bad. They cannot afford to move to another region. About half the US population lives in substandard air, the film says. Fire: this is the most newsy and scary of the elements stories, as fresh as the fires in California. The "new normal" for forest fires is now 1000% percent increased. 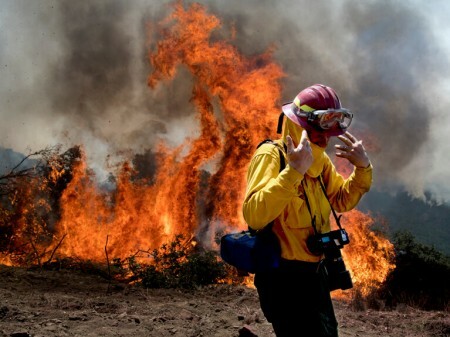 Balog covers with his camera a region in the Carmel Valley that was saved by a very large team at the cost of over $200 million, the most expensive firefighting project in US and perhaps world history. "The fire next time" is no poetic menace but a likely statement of the way things are going. A 5,000 acre fire in summer used to be exceptional. Now it's hardly noticed at all. As the film went to completion the big California fires were still raging. And while now it is no longer the custom just to "let fires burn" around property, because they are too powerful not to destroy all in their wake, it is also true that now there are fires that cannot be stopped at all. The film explains the multiple factors behind this exponential increase in fire. If you life in the american West or on the West Coast, no matter where you are the danger of fire could be real. Water, air, and fire. Next comes earth. Here Balog returns to his family's origins in the coal mining country of Pennsylvania where his Russian grandfather worked in the mines. He expresses a new respect for what these men did, which was right at the time. It is also true that now, nothing can restore the economic viability of coal. A young man is shown who has gone to barber school and loves cutting hair even more than he loved the mines. Some of the mine owners are shown to have moved toward developing solar energy over the vast land area they own that was used for coal mining. So this looks like one of the more positive pictures. But we are reminded that the US announced its intention to pull out of the Paris Climate Agreement in 2010, , the only country to have done so - one of the chief indications of the terrible in which we are going. The film ends with the March for Science of April 22, where Balog speaks, and also with a catalog of major natural disasters that have recently happened and their human toll. "Three hurricanes cost the US economy $265 billion. 251 people died." "Carbon dioxide, the main greenhouse gas, reached the highest levels in 800,000 years." We have an "inalienable right", Balog said at the March for Science, to stable elements on which we rely for life. We are the only ones who can achieve that. The Human Element, 76 mins., was in post-production according to IMDb. It's a brand new film. It was screened for this review as part of the San Francisco International Film Festival. This was the film's premiere, with multiple showtimes as below. Film crew, subject, and spokesman present for the screenings. Last edited by Chris Knipp; 04-08-2018 at 09:52 AM. A protracted examination of guilt and, as an afterthought, justice. Max Shilling in Japan Times heralded The Third Murder as a welcome relief from popular Sherlock Holmes-style Japanese puzzle stories that is, instead, a serious treatment of motive that begins as a legal proceedural. It is this. The accused has killed the owner of a factory where he works. Was robbery the motive, or was he killing on instructions from the man's wife, or was it to protect and avenge the man's abused daughter, or something to do with the factory's devious practices? Did he even do the crime, which he initially confesses to? The trouble is that Misumi (Kôji Yakusho), the surprisingly pleasant and charming accused man, changes his story so many times one begins to lose any sense of a fixed sequence of events. There is fascination in the interactions of the legal team, and eventually between Misumi and chief lawyer Shigemori (Masaharu Fukuyama). But not really one of Korreda's very best efforts. 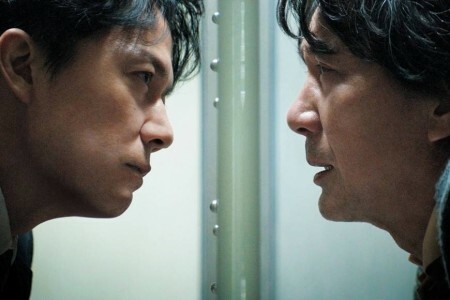 The Third Murder 三度目の殺人 (Sandome no satsujin), 124 mins., debuted at Venice Sept. 2017. 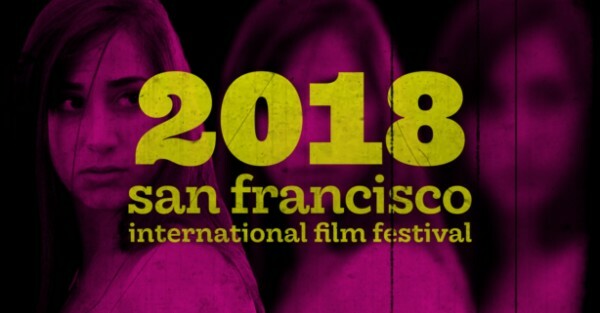 10 other fests including Toronto, Mumbai, and Vienna, and it was screened for this review as part of the San Francisco International Film Festival in Apr. 2018. Metascore 68%. Last edited by Chris Knipp; 04-08-2018 at 09:28 AM. The film focuses on three boys whose parents are incarcerated. It shows their visits to them and spends time with them when elsewhere. 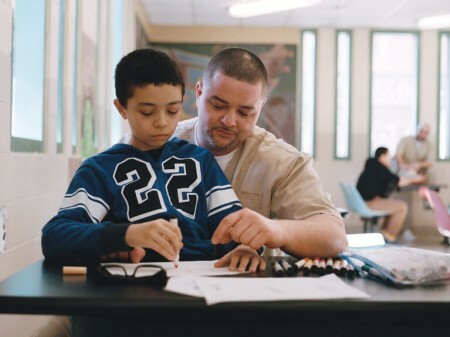 At these Rhode Island facilities, fathers are allowed to spend two hours with their kids in an assigned space once a week. Tre Janson is 13, Maison Teixeira is 11, and Dason Lopes is 6. Maison stands out at first. He is hyper, articulate, and smart. He gets diagnosed with Asperger's, but he seems remarkably sociable and wise with his dad. There is a session when he and his dad sit and ask each other questions that shows remarkable communication and, one feels compelled to say, sanity. Tre has gotten into trouble himself, barely escaping a felony and, violating probation, later facing jail time. He fights with his mom and talks tough. But when first seen visiting his dad, he weeps in his arms like a big baby, and we is like this again later. His mother's problems lead to her death. Dason is just a kid, and he and his cousin, like a sister to him, don't know his mom was in jail till she gets out, and she tells them - but she won't answer his repeated question about what she was in for, promising to tell him later. Tre is in a group home when his mother dies of a drug overdose. Life seems continually hard for him. His father expresses tremendous shame at having failed his son but declares that he will never give up on the boy or cease to love him. How things are going to go for Tre is uncertain. Maison's mother has long ago gone to live in California so he rarely sees her, but he chooses not to move there. His "Nana," his grandma, is there for him and a good support. RISE, an organization to aid children of incarcerated parents, provides him with a scholarship to go to a private middle school after he graduates with academic honors from his school. Tre becomes "T.J.," and, still a pothead and hanging with the brothers, he writes and records his own music; he is in a group home still, up for foster care; his father will be up for parole when he's 18. Dason shows immaturity camping as a Cub Scout but (perhaps the presence of his mother is no help in this situation) but at the film's end he has started guitar lessons - and outgrown his spiderman suit. In this film, Tre is depicted in most detail, Dason the least. Maison's story is the most hopeful. Tiller points out that these kids represent one in fourteen kids in the United States who have an incarcerated parent. This is, of course, an example of how our mass incarceration system endangers the social fabric. An extension of Denali Tiller’s thesis film at Rhode Island School of Design (RISD), Tre Maison Dason feels at first as if she has gotten in over her head. But if the sessions in the prison are limited, so are they for the family members,; and that doesn't stop them from being emotional and revealing. Teller has gotten good access, particularly for some of the heart-to-heart talks of the two older boys with their dads in prison sessions, but also for Tre's abrasive relations with his mom. We trust that the editing of many hours has delivered the right feeling of the people and situations. This is a worthwhile film. Tre Maison Dason, 90 minutes, was screened for this review as part of the San Francisco International Film Festival, where it is having its world premiere. Denali Tiller was an artist named one of Variety's 110 "filmmakers to watch" in 2015. Last edited by Chris Knipp; 04-08-2018 at 05:53 PM. This crackerjack doc tells the life story of Huntsville, Alabama's J.O. Johnson High School wrestling team, especially wrestlers Jailen, Jamario, Teague, and Jaquan, with Chris Scribner, the coach. The school has been failing. The team has been dormant for years, but this season it seeks to make its way to the state championship. Scribner (Scrib), also a Social Studies teacher, is a strong motivator. They are hungry. Jailen is highly motivated and defines himself by his medals. 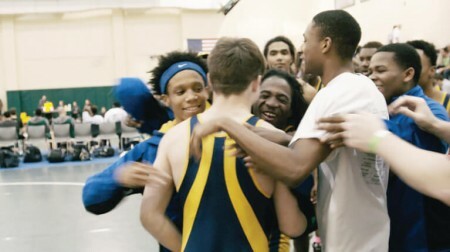 Jaquan's mother thought wrestling was a "white" sport; "I have a white son in a black body." Teague is white. He is on four meds but doesn't take them. Jamario (Mario) is hung up on his girlfriend. Their dramas mess him up and Scrib has to come and get him from his house for their first big tournament. First big tournament is sketchy but Scrib says it's first time in 3 years he's felt he's coaching a real team and they're going all the way to state finals. Going into a match, they say the Serenity Prayer. Scrib is in recovery, he, like Teague, used drugs chronically when he was in high school. The boys fight big obstacles like emotional breakdowns, racial profiling by the police, teenage pregnancy, and the temptations of drugs. They made it to the state finals. Two won, two lost. All went on to college but Teague, kicked out of rehab. Scrib coached another year, then went to Vanderbilt to law school. The high school, after years on the failing list, was shut down and turned into a training place for local police. So it goes. The doc has a strong soulful soundtrack. The matches are exciting. This is a very well edited film with strong material, equally rich in the coming-of-age, personal, social, and sports aspects. It winds up being as much about coach Scrib as the boys, but the personal details are about the boys, not him. Wrestle, 98 mins., had its World Premiere in the Global Visions section of the San Francisco International Film Festival, as part of which it was screened for this review. Alabama news story about the film and the team. News story about Scribner's starting of the team. Last edited by Chris Knipp; 04-09-2018 at 10:58 AM. No Date, No Signature is an almost unremittingly grim feature, that does some of the things the Iranians do extremely well in their movies, perhaps better than anybody else. Action begins with an unfortunate initial event. Following scenes carve away at that event, examining it from a hundred different angles, assembling troubling details that pose a disturbing and complex moral dilemma. These details are wonderfully conceived even though the way they pile up, or the reactions to them, eventually may come to seem in some aspects implausible. As they amass, so do the guilt and recrimination, other areas of strength in Iranian cinema, which often depicts a society where people seek to point responsibility away from themselves, with very mixed results. The acting here is first rate. So is the look, the images in unusually handsome black and white that manages to be elegant without ceasing to be grim. This film is a pleasure to watch, even if we may writhe uneasily as we enjoy. It all begins with a sudden car accident, hastily - too hastily - dealt with. A driver is sideswiped and caused to in turn drive a motorcyclist off the road, who has his wife and daughter and young son in tow. The driver is Dr. Kaveh Nariman (Amir Aghaee). The motorcyclist is Moosa (Navid Mohammadzadeh), with his wife Leila (Zakiyeh Behbahani). She and their daughter are only a little bruised. But their 8-year-old son Amir Ali is more shaken, and may have a mild concussion. Nariman is a doctor. He checks Amir Ali, who says he feels okay. The doctor wants to take them all to the hospital, but Moosa will only agree to to stop on his own at a nearby clinic to have the boy examined. Nariman gives him money. This is routine in Iran. Moosa really wants the police to be notified but Nariman won't agree to this, because his insurance has expired, and there would be trouble. All this is, of course, a matter also of class and economic status. Well-off doctors don't drive their families around on motorbikes. Those are things of the working classes. As they drive away, Nariman sees Moosa drive by the clinic. He waves to him to stop, but he doesn't. And that is that. But that, of course, is not that at all. This early scene, however, is a model of the whole, patient, methodical, full of detail, troubling. Nariman is a forensic examiner. A few days later, he hears the family name of Moosa. It is the boy. He is dead. This is where the complications begin. First there is Nariman's handsome, austere female colleague, Dr. Sayeh Behbahani (Hediyeh Tehrani of Ashghar Farhadi's Fireworks Wednesday). It is she who does the autopsy of the boy. She finds he is infected with botulism and believes that is the cause of death. But Nariman theorizes that it was a spinal injury's delayed action, making him responsible. The film keeps the relationships complex and conflictual, Nariman-Sayeh, whose connection is clearly more than professional; Nariman-Moosa; and Moosa and his wife, Leila, through whose grief and anger we feel the tragic loss of the child. But Moosa is responsible for the botulism, or rather an unscrupulous seller of chicken from a kind of packing plant where he bought it at a bargain price. The scene where Moosa in a rage confronts and attacks the chicken seller I am not the first to note has a kind of Shakespearean tragic grandeur. It is the reason why Mohammadzadeh received high honors at Iran's annual film awards, as No Date, No Signature got Best Film. When Moosa is arrested for assaulting the chicken seller and ultimately charged with murder, the film's trajectory takes on the feel of Rossellini, of Italian neorealism. But the continual arguments between Sayah and Nariman maintain a strain that is unmistakably Iranian. Nariman's torment parallels Moosa's, as he pursues his own guilt, insisting on exhuming the corpse of the boy to do his own private autopsy. This excellent film is not without flaws. Chief among them is the implausiblity of Nariman's insistence on incriminating himself when he has no need to so so and there is strong evidence that the boy dies from what he ate. Or, if not, he would have died from the botulism shortly thereafter. But maybe this situation is too complicated for its own good. And Sayeh's relationship with Nariman is kept too nebulous. There are other doubts. 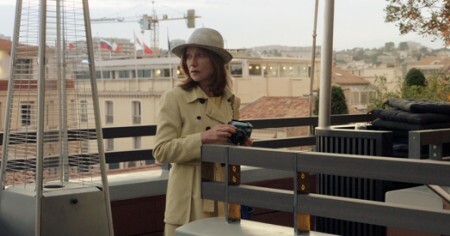 But as Jay Weissberg's Venice Variety review points out, the emotions remain strong and convincing throughout, however overcomplicated the plot details. In 23 known international festivals, beginning with Fajr, Istanbul and Venice in Feb., Apr., and Sept., 2017, and screened for this review as part of the San Francisco International Film Festival, Apr. 2018. Last edited by Chris Knipp; 04-09-2018 at 10:07 PM. Just a typical rural Swedish farm in the Seventies, 1978, to be precise. In this film based on a novel by Tomas Bannerhed, the father, Agne (Reine Brynolfsson), finds his work a struggle. The early scenes of the film are completely wordless. Son Klas (Jacob Nordström), a bird watcher with pretty eyes, hangs (while he can) with Veronika (Saga Samuelsson), the new girl visiting from Stockholm, and has little interest in taking over the place. Gärd (Maria Heiskanen), wife and mother, tries to offer some warmth, but she gets hers sometimes from another man in town. The farm doesn't really belong to Agne, but he has little interest in local developers using a forest attached to the land, or even in adopting modern machinery, little interest in keeping the landowners pleased with him. Jens Assur, whose feature debute as director-writer-producer this is, arrives as a photojournalist with a good eye: the starkness has an edge of beauty granted by the 35mm camerawork by dp Jonas Alarik. The drab grays have a glow of yellow and purple; the light often sings. And then there are those ravens, who cast interesting shadows across the barn wall. This is small compensation, against the doom-ridden score by Peter Von Poehl. The sound design is sometimes scary; so is the score. If you grew up on a Swedish farm, many seem to think, this will speak to you. Citizen critics on IMDb suggest Swedish farms atmospheres haven't changed so much in subsequent decades, only the size of the land and the machinery. If that's not your background, you may find Ravens a bit stingy in the story line, or just implausibly grim, though the wordless passages are interrupted, if only briefly, by exciting moments. This is Sweden, home of the mournful, and this film fits with local cinematic tradition. At least one of Klas's not-so-distant forebears has killed himself. What will happen to Klas? Or to Agne? Gradually, we find out. When Agne does something creepy, you wonder if he is a monster or a villain? Stefan Dobroiu argues in Cineropa that, in the layered performance of the experienced Brynolfsson, he's a richly layered character, one of the year's most complex and compelling on film. At least he is not the simple grouch he may seem at first. Klas' idea of a great date night with Veronika is attending a slide lecture on scavenger birds (the speaker is entertaining). That's a droll thought. Ultimately however for some the longish run-time may feel stretched out, there is a sense of inevitability, and, curiously given the anguish, of resolution - and resignation. Ravens/Koparna, 105 mins., debuted at Toronto Sept. 2017; four other festivals. Screened for this review as part of the San Francisco International Film Festival. Last edited by Chris Knipp; 04-11-2018 at 05:56 PM. This documentary is more than it appears but much less than it should be. It's overburdened at only 85 minutes run-time. It has too much material to deal with, material that is new, complicated, and explosive. It starts out as "A look at the shadowy underworld of the Internet where questionable content is removed," as one summary states. This means the low-level employees, thousands, it is said, in the Philippines whose job is to "clean" the Internet, to view thousands of images that might be objectionable for people to look at and, on viewing them, to choose to allow or delete them. Actually the details of this work aren't really clear, and we don't get to see samples, but as - Nick Allen, Roger Ebert.com says in his review of this film, these "Cleaners" and this process are in themselves a complex subject that can't fully be dealt with in this film. This subject involves the plight of these employees whose work could be psychologically damaging. It also involves the way in which their decisions must be arbitrary, and in which they might not be able to judge taste or legality for viewers or users of other countries than their own country, the Philippines, and its culture. They make these decisions, incidentally, in a country governed by an insane leader known for his human rights violations. But the film goes on to more important issues, which it can only begin to touch on. Primary among these is the pernicious effect of the social media, which so many users look upon as a boon. Google, Twitter, and Facebook - created in California by young white males - allow other countries like Turkey freely to censor what appears on social media in their regions. At the same time they allow the free flow of the most heinous material - misinformation, disinformation, hate. A prime example of that, cited in some small detail in the film, is the way Facebook has been used in Myanmar (former Burma) to foment hatred against the world's most oppressed minority, the predominantly Muslim Rohingyas who for centuries have lived in the Buddhist-majority country. That's one example. On a wider scale, as a journalistic spokesman says earlier in the film, the social media have been creating the medium in which flows the politics that has produced Brexit and Trump - and no doubt the current general shift to the right and toward hate in world politics since Brexit and Trump. The "Cleaners" are not, in any political sense, cleaning, and they are certainly not clarifying. They are not filtering out false political claims or stupidity and hate, as the traditional world of good journalism we grew up with used to do. Nor are the powers that be in Silicon Valley doing so. Hate is good for business, it turns out. Nothing gets more hits in Myanmar than a vile attack on the Rohingyas. A number of former employees of Google and Twitter appear as talking heads here expressing degrees of discomfort with what they did when in the fold and how the social media are operating now. Of course Mark Zuckerberg is in trouble for Facebook's lack of control of its myriad content. These things are Pandora's Boxes that have enveloped the world. Surely it would be idiotic for anybody now to say that Twitter, Google, or Facebook are forces for good in the world. They represent a marketplace that lacks the old checks and balances that kept discourse reasonable. Facebook is a major vehicle for the invasion of privacy. Good luck, Facebook users. This is important material. But it's material for numerous documentary films, not one short one. The effect of The Cleaners is to give one the jitters. The material it only touches on is hard to pin down. It may leave you feeling like the unfortunate Filipino Internet filterers it starts out with, some of whom have committed suicide. This is a start, but we deserve better. Having become convinced that an Apple cellphone salesman was a messianic guru making the world a better place, presumably it is easy for the public to start thinking a Harvard dropout who became an instant billionaire is a savior too. It is the opposite. The world of computers and the Internet has opened up humankind to vast stores of information - and vast new possibilities for stupidity and harm. The Cleaners, 88 mins., debuted at Sundance Jan. 2018; also Rotterdam, DOX, and Hot Docs. It was screened for this review as part of the San Francisco International Film Festival. Last edited by Chris Knipp; 04-10-2018 at 07:31 PM. Katie Galloway won the SFIFF Golden Gate Award for Bay Area Documentary Feature for The Return (2016). Her other films include Prison Town, USA (2007) and Better This World (SFIFF 2011), which won the GGA for Best Documentary Feature as well as the Writers Guild of America’s USA’s Best Documentary Screenplay prize. Last edited by Chris Knipp; 04-11-2018 at 11:12 PM.